There’s been some brewery canoodling going on. Again! I’ve just had a sip of a new love child: a beer that’s come about from a bit of a love-in between esteemed London brewery, Fuller’s, and Belgian trappist brewery, Chimay . It’s a story of two breweries – steeped in heritage and quality – colliding to make something that works well for the tastebuds for both of their fans. And something that might well draw in new fans too! Chimay Doree (Doree meaning Golden) is 4.8%, with a distinct coriander nose. It’s smooth and sweet – a hint of honey I feel along with something of juicy seedless green grapes too! It’s totally drinkable and delicious. It was an extra-special treat to meet some of the directors from both Fuller’s and Chimay in the wonderfully spooky and pretty (if a venue can be the same thing at once!) Crypt of St Etheldreda’s in Holborn. Go get yourself some. And report back to me. List of Fuller’s pubs it’s where it’s on sale below. Chimay Gold was brewed at Chimay’s home, the Notre-Dame de Scourmont Abbey. 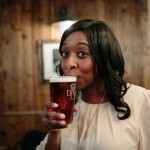 Fuller’s will import the beer on draught exclusively into the UK. Fuller’s have been brewing beer on its site in Chiswick in West London since 1845. 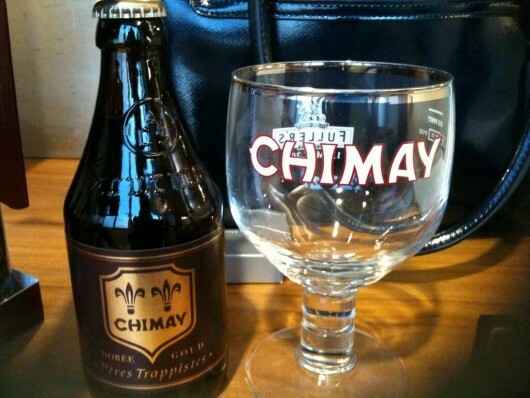 Cistercian Trappist monks of Chimay have been brewing beer in their monastery since 1862. Today it still holds the AUTHENTIC TRAPPIST STAMP. Heritage melding beautifully or what?? Isn’t this the most beautiful beer glass?!? Yes, only because Fuller’s supply them. Fuller’s are the sole UK importer of the beer. Butcombe distribute in the West Country on their behalf. Just for the benefit of those who want this beer. 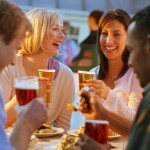 There’s more to beer than London! Very impressed with your site. I’m from Birmingham(albeit I left there 10 years ago)and I’m going to go there for a pub crawl based on your recent blog. A welcome addition to the London beer scene. Strange as this beer used to only be available in 1 outlet – the cafe next to the monastery. I wonder what the rational is for Fullers having exclusive rights – after all the Fullers stable is not too bad as it is. Fantastic blog. To be honest, I discovered your blog 2 weeks ago and I’ve only read a few articles, but really liked them. 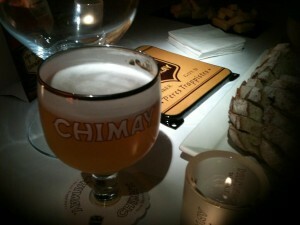 I personally love Chimay beers (especially Triple – Cinq Cents). We don’t yet offer this Doree beer, but I’m contacting certain suppliers in order to make this possible. Anyhow keep on loving those beers.